Welcome to Leah Benjamin Designs, home of designer crystal reading glasses & crystal sunglasses that put the focus on fun fashion. Our eyewear includes styles that range from conservative to the ultra chic. 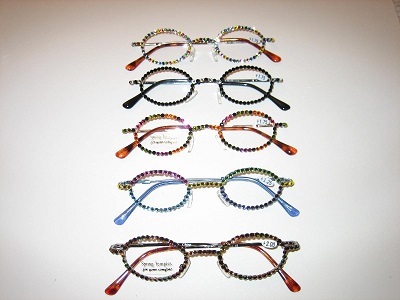 Leah Benjamin Designs is well known for its hand decorated eyewear using genuine Swarovski crystals. Our company’s mission is to make your life easier by providing one of the most updated selections of reading glasses & sunglasses online.